TOEFL writing samples pdf download with exercises for the ibt test. 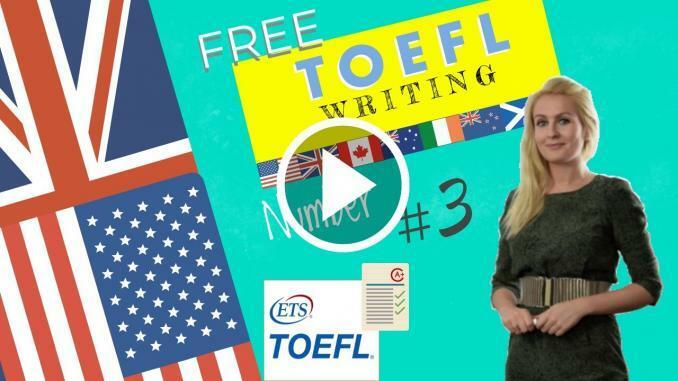 In this introduction we provide you with TOEFL Writing samples pdf that are downloadable as well as valuable tips on how to score maximum points in the writing section. This is a classic example of agree or disagree question that you may get on TOEFL Writing essay task. Agree or disagree question asks you to clearly determine whether you agree or disagree with the statement. Unlike questions that ask you to what extent do you agree or disagree, this question asks you to have a definite opinion, black or white.. After you’ve chosen your opinion, as usual think up 2-3 supporting points for it. A job is a means to an end and money is that end. After you’ve decided whether you agree or disagree and thought out your supporting reasons, it’s time to start writing your essay. There are a lot of ways to structure your essay, but we’ll use a structure that has been approved by many TOEFL examiners to be high-scoring. I have often heard that it is more advantageous to choose a job with high wage, even if it does not interest you at all. I am in total disagreement with this statement and think that job satisfaction is much more important than a high salary. Sentence 1 – state the first reason you agree/disagree. First of all, I believe that job satisfaction gives people a sense of fulfillment that money cannot guarantee. Sentences 2-3 – explain the reason. If you do not feel good about what you do and it does not interest you it is such a large part of your life that it will sooner or later affect you adversely. Conversely pursuing one’s interests will always bring pleasure and feeling of achievement. For example, a lot of people choose to do social work although it is not well paid, but because they were passionate about helping others. That’s why it’s so important to choose the kind of work that makes you happy rather than to look only at your bank account. Sentence 1 – state the second reason you agree/disagree. Secondly, doing what you like keeps you focused and motivated and you will fulfill your potential. In other words, there is a strong relation between job satisfaction and productivity. People who do jobs they like will not watch the clock and they will achieve better results than those, who put their salary first. Look at George Orwell who came from a good family and had a very good education in order to fulfill his ambition of becoming a writer. Sentence 5 – a short summary of your thoughts in the 2nd paragraph. I am convinced that for these reasons, job satisfaction outweighs the inconveniences of a low salary certainly from a career point of view. In conclusion all the trappings of wealth do not compensate for a sense of unfulfillment. DO NOT write new ideas in the conclusion! gives people a sense of fulfillment that money cannot guarantee. If you do not feel good about what you do and it does not interest you it is such a large part of your life that it will sooner or later affect you adversely. Conversely pursuing one’s interests will always bring pleasure and feeling of achievement. For example, a lot of people choose to do social work although it is not well paid, but because they were passionate about helping others. That’s why it’s so important to choose the kind of work that makes you happy rather than to look only at your bank account. Secondly, doing what you like keeps you focused and motivated and you will fulfill your potential. Look at George Orwell who came from a good family and had a very good education gave up everything in order to fulfill his ambition of becoming a writer. I am convinced that for these reasons, job satisfaction outweighs the inconveniences of a low salary certainly from a career point of view. Exam Questions for the TOEFL writing samples pdf. Present progressive English explained in the Beginners Course 16. March 16, 2018 Comments Off on Present progressive English explained in the Beginners Course 16.